One of my favorite stories is the one about when I was born. My parents don’t tell a lot of stories from when we were little, but the details I have pulled out of them about my birth are some of my favorites. I was two weeks late. My mom was in labor for about ever. When I was finally born, my dad went home and sat on the stoop with his black lab and had a beer because he was exhausted and overwhelmed. When my dad brought my mom and I home from the hospital, he had to go back to work, but he made sure to ask my mom if she could do laundry because he was out of clean underwear. And she did it without even thinking anything about it. Being a new mom in our small town in 1978 was so different than it was for me, in the same town, in 2009. I can’t even imagine what those early days home alone with me were like. My mom didn’t have the internet or the Google if she had a question about what was going on with me or with her. When Eddie wouldn’t stop crying, I turned to Twitter, Facebook, Google, BabyCenter, my blog…looking for answers and suggestions for calming a colicky baby. When Eddie spiked his first fever, I looked to my nurse friends in my computer to find out at what point I should worry and bring him in. When I felt lonely and separated from the world, I looked to my computer to find moms who felt like I did. A blog comment on someone else’s blog is what prompted me to realize I might have postpartum depression. How did mom’s know they needed help back then? I know she doesn’t mean that as a slam on me for not just getting through it. She is just simply shrugging her shoulders at what her reality was. But did she cry when I cried? Did she wonder if she was enough? Did she tell my dad she was scared? Did she wonder what in the hell she had gotten herself into? 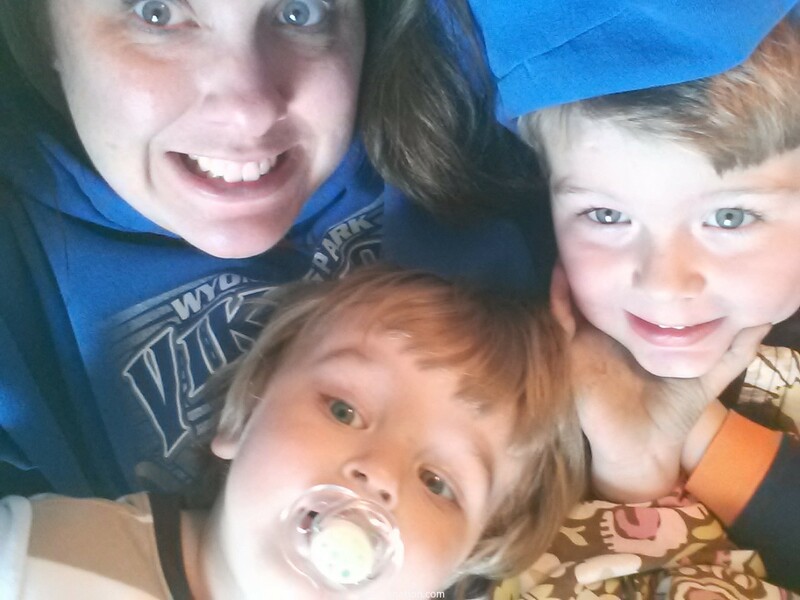 I”m not sure I could have done this motherhood thing without the moms in my computer. I had plenty of support in “real life” from friends and family, but the moms in my computer were there 24/7 and there was always someone who experienced what I had. Over the course of the past five years I have wondered at how moms did this thing alone before. All those moms without a tribe around them…how did they survive those first years? When I ask my mom these things, she waves me off and says, “pfft. I don’t know, Kate. We just did.” My mom even claims to not remember. Is that possible? Maybe. I do find it harder and harder to remember Eddie and Charlie as tiny. And it has been 36 years since I was a tiny infant in my mom’s arms. And I wish I could see what her mind sees. I wish I could remember being four-almost-five. I guess in the end it wasn’t too different than how I do it, really. One moment at a time, doing the best I know how by my boys. And I totally know what you mean all those times you said, “you’ll understand when you’re a mom.” I thought you were just crazy and dumb. Turns out I was the dumb one. What a great tribute to your mom! I hear that, too: “We just did it.” Shared experience, and using those experiences to help us is how we all do it. I called my mom when I didn’t know what to do with my crying baby. When she wasn’t available, I called my mother-in-law. I consulted other moms I know, books, the internet. Whether through the computer, or the phone, or in person, we reach out to others for help to get through things. That’s how we do it. Love this, Katie! A wonderful tribute. In 1971 it was pretty customary of the father not to be there for the birth (at least in Germany, where I was born), so it was just my mom and the midwife at the hospital. My dad was on standby and had already started celebrating and once he got word that I was born he was already way too drunk to drive…. I’ve asked my mom many times, “Did you think this? Did you feel this? Was it this hard? Did it hurt like this? How did you do this?” She looks at me and responds, “Yes, and the same way you will.” I think when it comes down to it it doesn’t matter how much information or advice we have. We all just have to step out and just do it. I wonder about these things all the time. I cannot wrap my mind around NOT having Google for all my parenting questions…some of which I’m too embarrassed to ask. But there are other times when I’m feeling extremely overwhelmed with information and I yearn to go back in time and raise my babies in a time without 24/7 readily available information. Love this!! What a wonderful tribute to your mom! I can’t imagine parenting in the era before the Internet and Google. It has saved me in so many ways. I guess that means, no matter how flawed we feel our mothers were while we were growing up, in many ways, they were resilient, in some ways, more than we are. yeah. i’m pretty sure id be in the looney bin without the internet. Ha. Your mom sounds like mine… I was just watching Jennifer Senior’s TED talk, and she mentions that while we now have hundreds of parenting books to choose from, back “in the day,” there was only one: Dr. Spock. I guess it was easier then to know what to do because there were fewer sources of information. A. It’s totally true that you forget. My kids are more than a decade older than yours (almost 17 and 15) and while I *know* that we had witching hours and that they hated having their nails clipped and that I had all kinds of tricks to survive the challenges with us all intact, I can’t remember the *bad* details. Much. My KIDS are the ones who remind me of the crap we did. For real. So the super-hard stuff will fade and what you will recall are the sweet snuggles and the smell of baby shampoo and their tiny voices. Then you’ll cry all over again. B. I’m older than you, but our mothers are from roughly the same generation – and they did not have the same pressures we have now. I’m not saying they didn’t have pressure. They DID. It was just…different. It wasn’t about creating Pinterest-perfect childhoods. My mom made us do chores, sent us outside, and got on with her ‘other’ responsibilities like house care and the full-time job she was raised to think she wouldn’t have. She grew up thinking she’d be a stay-at-home mom and when having a family in the 70s and 80s proved to be too expensive, she had to work. I think that shift of mind was much harder on her than it was for me who always expected I’d have a job. Her Mommy Wars were more internal than external. If that makes sense. C. You are wonderful and this tribute to your mother is perfect. 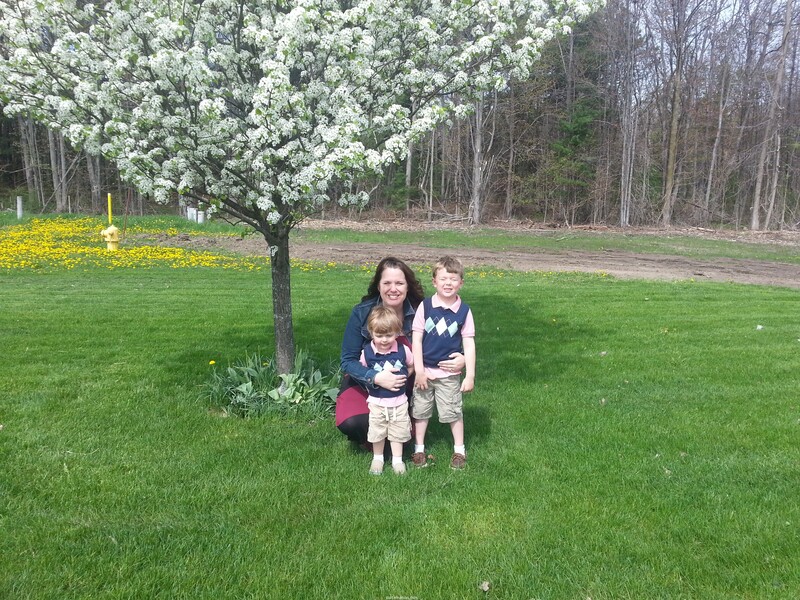 I hope you had a beautiful Mother’s Day with your beautiful boys. All three of them. I cannot tell you how many times I have had the same talk with my mom, and heard the same thing: “we just did what we had too.” And I am sure she must have had the same conversation with Her mom — who had 11 children and a busy cattle farm. But I rather think they did have a tribe back then — just a different type. I remember there always being a sister/aunt, friend, co-worker being around. even if just over for coffee. and Friday night card nights at someone’s house with all us kids running around and staying up late. or crashing on chairs, the floor, our friends bed. Rorybore recently posted…Tuesday Coffee Chat: 38….. Again! This is all so true. We all “just get it done” in our own way. And we’re doing great. And so are you.